At Xchanger Services we offer a wide variety of processes to meet your requirements for the repair and servicing of your heat exchangers. We have developed these processes over the last 30 years and understand the need to complete work on time to minimize down time and meet shutdown deadlines. 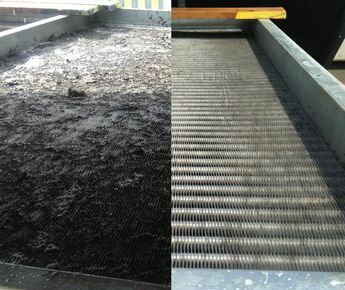 We offer on site chemical cleaning for the de-scaling of various types of heat exchangers including evaporators, condensers, exhaust gas coolers and plate heat exchangers. 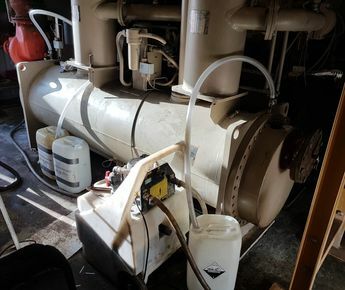 Chemical cleaning may be utilized to improve your heat exchanger efficiency or prior to any further inspection or NDT testing. Other on site cleaning processes include high pressure jetting and mechanical cleaning to unblock tubes. 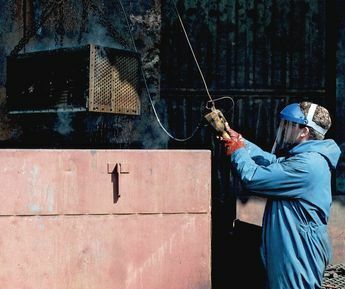 At our works we offer a comprehensive range of cleaning options including chemical de-scaling, chemical de-greasing, high pressure jetting, mechanical cleaning and shot blasting. These cleaning processes can be carried out as a standalone option or part of a full heat exchanger service. We offer a variety of repair options both on site our at our works. Pressure testing can be carried out to determine any leaks prior to effecting a repair, range of testing 0-10,000 psi. Repairs can then be carried out including tube plugging, tube replacement or weld repairs. In addition we can carry out pressure testing to satisfy any inspection requirements including the removal and re-fitting of tube bundles. We can also assist with the removal and re-fitting of plugs from fin fan cooler header boxes, re-machining of any damaged sealing faces and re-fitting of the plugs and pressure testing. We specialize in the full servicing of a wide range of heat exchangers. This process can be utilized to improve the performance of your heat exchangers or as part of any periodic inspection requirement. 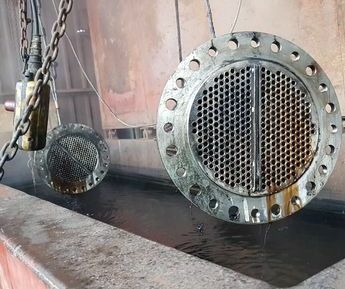 The process involves stripping the heat exchanger into its component parts, cleaning the component parts, inspecting the parts visually and using NDT inspection if required. We issue inspection reports with any recommendations, re-assemble the heat exchanger with new gaskets, bolting and any replacement item identified in the inspection. Finally we pressure test the heat exchanger and issue a pressure test certificate. The whole process can be carried out in conjunction with any nominated inspection body.